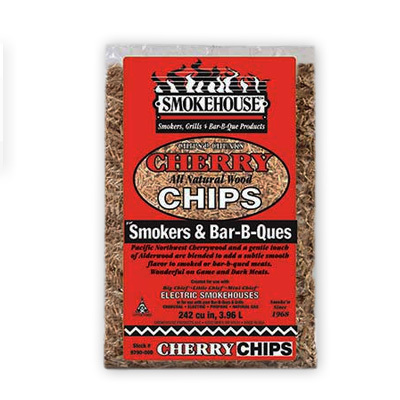 Add a subtle, smooth and sweet Cherry wood smoke flavor with this Pacific Northwest Cherry Wood. Perfect for low-medium temperature smoking. This blend of cherry wood and a mild touch of alder provides a subtle, smooth flavor with a hint of sweetness that is delectable on meats, wild game, pork, cheeses, nuts and more.